A Christian author’s book aims to bring much-needed clarity to the often-misunderstood doctrine of the Trinity. The author explains how the doctrine of the Holy Trinity is rooted biblically in the Bible. One of the truths manifested to Christian believers by divine revelation is the existence of the Holy Trinity, wherein there is only one God in three distinct inseparable persons who are a composite unity, none other than the Father, the Son, and the Holy Spirit. However, many Christians find the doctrine of the Trinity difficult to understand and explain, and nontrinitarian Christians, particularly oneness Pentecostals, dislike or ridicule the doctrine. 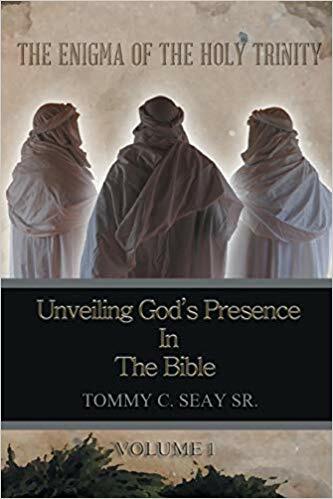 Evangelist Tommy C. Seay Sr. seeks to properly explain the doctrine through his book “The Enigma of the Holy Trinity: Unveiling God’s Presence in the Bible” (Xlibris; 2016). “The Enigma of the Holy Trinity” aims to help readers know God better through the lens of the Holy Trinity. The author needs not to look further than the Bible to affirm the triune God. One might be able to understand both concepts better by thinking of a person who has multiple personalities. He or she is one person. However, the person displays multiple personalities functioning within him or her. In a similar way, God is one person whom we see functioning as three distinct individuals known as the Father, the Son, and the Holy Spirit. The Bible declares that when the Lord comes in the flesh to redeem humanity, the Father and the Son will be the same person. The author rues that many Christians have difficulty recognizing God in the Bible – and the Holy Trinity in the Bible. He hopes that his published work will help readers discover the presence of God who revealed Himself in many different ways throughout the Bible, and in our world today. Discover the richness of the biblical doctrine of the Holy Trinity. Order Tommy C. Seay Sr.’s “The Enigma of the Holy Trinity: Unveiling God’s Presence in the Bible” today through Amazon and Barnes & Noble. Don’t miss the public display of this thought-provoking, spiritually uplifting book at the upcoming Los Angeles Times Festival of Books on April 13-24, 2019 at the University of Southern California in Los Angeles, CA. Written by Tommy C. Seay Sr.
An ordained pastor, evangelist and teacher, Tommy C. Seay Sr. is a graduate of the 2007 class of World Harvest Bible College External Studies Program, directed under the leadership of its Founder and Dean, Elder Rod Parsley, Senior Pastor of World Harvest Church in Columbus, Ohio. Seay is also the founder of Unveiling Ministries and Chief Servant for “The Word without Religion,” an advanced biblical studies workshop committed to rightly dividing the word of truth, located in Buffalo, New York. He is the author of “A Purposeful Life in Dual Dimensions: Unveiling the Mysterious Timeline from Jesus’ Death to his Resurrection.” It solves the three days and three nights mysterious timeline from Jesus’ death to His Resurrection.